Western Canada is home to a broad range of industrial activities, from port and logistics activities to light manufacturing and resource extraction. With a record of service beginning in 1993, Imperial Security has the knowledge needed to protect plants large and small from property crime and ensure the safety of workers and visitors. Imperial Security guards have all completed government-accredited training courses, and many have long associations with the properties they’re assigned to protect. This familiarity means experience and expertise that make them valuable partners of, and invaluable resources to, companies. Guards provide 24-hour foot patrols as well as providing access control that ensures only authorized staff enter sensitive facilities. When incidents happen, a mobile app records the details, including time and location, and provides a convenient summary to clients for follow-up. The scale of many industrial facilities isn’t easily covered by one person, however. This is where bike patrols play a role. Whether it’s a riverfront warehouse or a mill site with vehicle traffic, Imperial Security bike patrols easily navigate the terrain to provide coverage at regular intervals and ensure client interests are protected. The visible presence discourages trespassers, and provides a human element that reassures workers. When incidents happen, mobile patrols provide a rapid response service, improving the chances of apprehending perpetrators and recovering lost property. Vehicles are equipped with GPS tracking and dashcam units that provide an accurate record of how incidents unfold. This provides reliable evidence in the event of prosecution as well as accountability to clients. 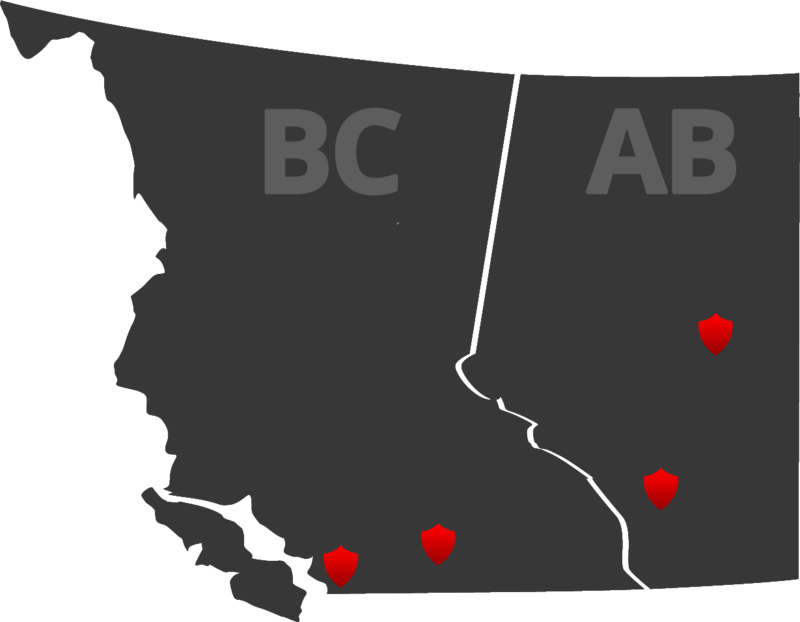 With locations in the major industrial centres of Metro Vancouver, Edmonton and Calgary, Imperial Security is positioned to provide the coverage you need. Teams provide custom security programs to clients ranging from distribution facilities in Vancouver and Richmond and light manufacturers in Surrey. Third-party logistics facilities in Calgary and resource operators in Edmonton also benefit from Imperial Security’s services. With more than a quarter century of experience, Imperial Security has your long-term interests in mind.